Greepers are the best shoelaces you’ll ever use: simple to fit, easy to use and they never come undone! 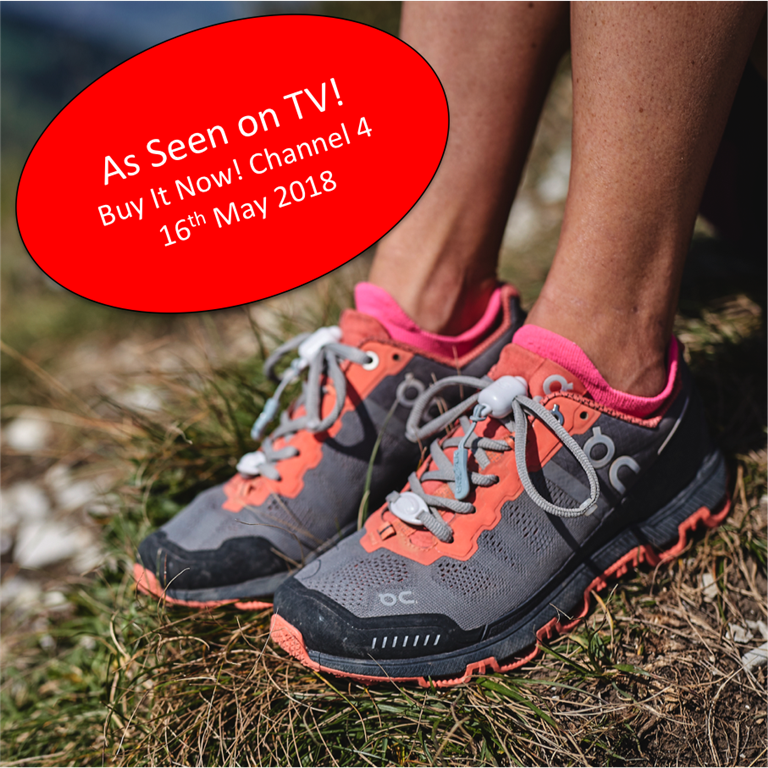 Greepers continue to gain wide acclaim in both sport and healthcare and recently inventor Peter and Greeper® Laces featured on the new Channel 4 programme Buy It Now! Made with real (not elastic) laces you get the optimum performance from your sports and leisure shoes and the convenience of quick loosening and tightening – even in the freezing cold and with gloves on! So whether you’re off to a triathlon, the mountain trails, the park, school, the office or just chilling out, Greeper® Laces are the laces you need. Just choose your style and colour and then place your order here. The video below shows how to fit the laces to your footwear and then how they loosen and tighten them. It takes just a few minutes to fit GREEPER® Laces and it’s worth following the steps carefully so you get the loop sizes and tension just right. Once set up you’ll never have to tie your laces again! Greepers Ltd is proud to be an Associate member of The Society of Shoe Fitters. This recognises the importance of Greepers as a device that supports healthy feet! We are keen to get Greepers out to the professional community and so provide a free demonstrator unit to Occupational Therapists and other healthcare professionals who will find it a useful aid to both demonstrate how Greepers work and allow the end users to practice using Greepers prior to purchasing the laces. Please send us an email via the contact form if you would like to receive a free demonstration unit. GREEPER® Laces have proven to be very useful for many people who struggle to tie shoe laces for any number of reasons, including conditions such as ASD, Aspergers, Dyspraxia, Cerebral Palsy, Stroke and Amputees. We have also developed the GREEPER® Assist device. Loosening the laces one handed is very easy, but it is more tricky to tighten them. The Assist enables people with only one functioning hand to tighten the laces. Hello, I am a mother of a 13 year old boy with down syndrome and one of my best friends has a boy with autism.Your laces are freedom for our boys!! I used my first pair (of Greepers) tonight which I bought at the triathlon show and put them in new shoes bought today. They are so much better than elastic laces used in triathlon, your feet are so much more stable. I am a definite convert. The (laces) have arrived in good time thank you. Like most great ideas based on a simple concept. I am able to wear shoes and boots with laces again after 30 years. Thank you!